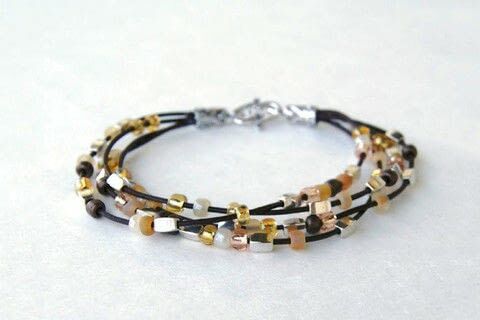 I made the easy diy bracelets from leather cord and versatile tiny seed beads. 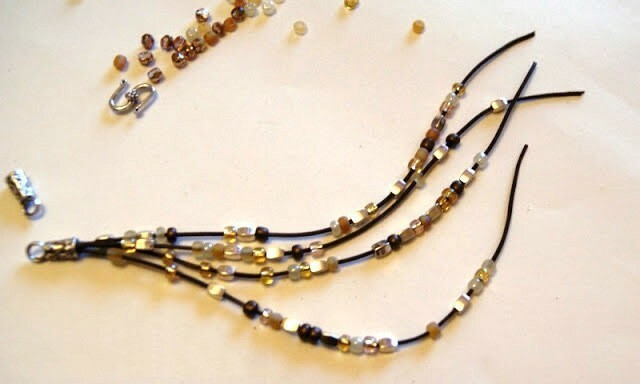 To practice the bracelet making patterns may only takes you 10 minutes or less. For beginners, I recommend this guide. 4. Let it dry for a few minutes. 2. Do not fill the leather stripes totally if you wanna them be overlapping. 2. 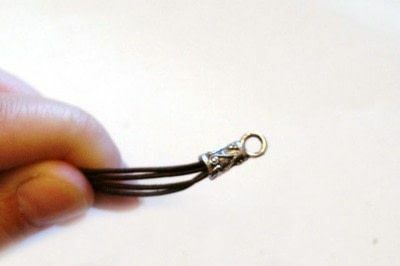 Add on your clasp.